Starvation occurs when your body suffers a lack of nutrients necessary for the maintenance of life. During starvation, your body uses stored glucose and fat, then eventually metabolizes muscles, tissues and organs in an attempt to get needed nutrients. When you are in starvation mode, your body is suffering, which results in weakness and a lack of motivation that make exercise unpleasant if not impossible. After severe starvation, your body may not be able to handle a regular diet and exercise regimen as it is recovering from an extreme lack of nutrients and energy. Starvation is a form of malnutrition, which occurs because your body isn't getting enough nutrients. There are numerous medical disorders and vitamin deficiencies that can cause malnutrition but it may also be caused by an eating disorder, such as anorexia nervosa. Symptoms of malnutrition can vary, but generally include dizziness, fatigue, weight loss and an inefficient immune system. Some of these symptoms may make exercise difficult and dangerous and therefore should not be done without medical advice and supervision. Anorexia nervosa, or anorexia, is an eating disorder characterized by an extreme fear of gaining weight. People with anorexia refrain from eating and exercise excessively. This extreme reduction in calories and excessive exercise leads to starvation and malnutrition that can be life threatening because of severe weight loss. Eventually, exercise may no longer be possible because of illness and fatigue. 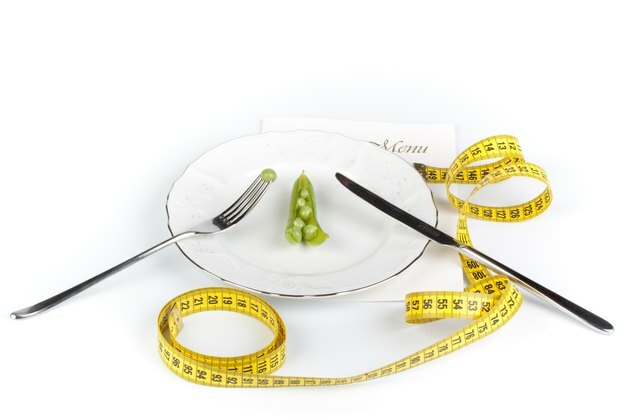 According to the University of Maryland Medical Center, treatment for anorexia usually involves a combination of psychotherapy, family therapy, lifestyle modifications and medication, so that a person no longer has an irrational fear of losing weight. The goal of treatment is to bring a person out of starvation mode. Exercise requires energy, and when you are starving and malnourished your body shuts down to reserve energy and calories and you may be unable to maintain your exercise routine. In addition, if you don't replace the energy you use during exercise, you are likely to feel tired, irritable and unmotivated. The solution to extreme fatigue caused by starvation is to eat lots of energy boosting complex carbohydrates like whole-wheat crackers and oatmeal, a small amount of fat and a moderate amount of protein. This diet will provide you with more energy for exercise and actually increase your metabolism. According to a report published in the "The Journal of Nutrition" in 2005, the Minnesota Experiment conducted during World War II proves that rehabilitation after starvation can be as difficult as existing in starvation mode. A person can feel extremely ill when the body adjusts to getting calories again, and fatigue, weakness, motivation and interest in daily tasks are slow to improve during rehabilitation. A normal exercise routine might be difficult during the recovery period and should be pursued with extreme caution until you are medically cleared to resume normal daily activities. If you have extreme fatigue and weight loss, see a doctor. A doctor can diagnose the cause of the problem and begin treatment immediately. A condition like anorexia can endanger your life and needs to be medically treated as soon as possible.